A Kartemquin Films production for ESPN Films' critically acclaimed "30 for 30" series… On February 13, 1993, 17-year-old Bethel High School basketball star Allen Iverson entered a Hampton, Virginia bowling alley with several classmates. It was supposed to be an ordinary evening, but it became a night that defined Iverson's young life: a quarrel soon erupted into a brawl pitting Iverson's young, black friends against a group of older white men. The fallout from the fight and the handling of the subsequent trial landed the nation's best high school athlete in jail and sharply divided the city along racial lines. 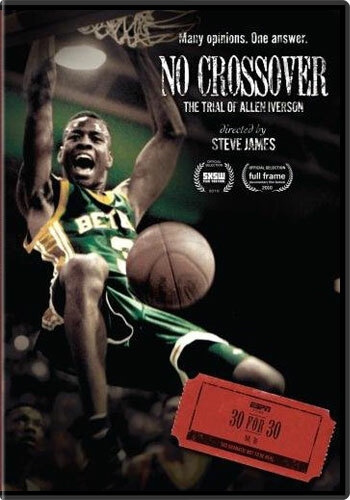 Oscar nominee Steve James (Hoop Dreams) returns to his hometown of Hampton, where he once played basketball, to take a personal look at this still disputed incident and examine its impact on Iverson and the shared community.